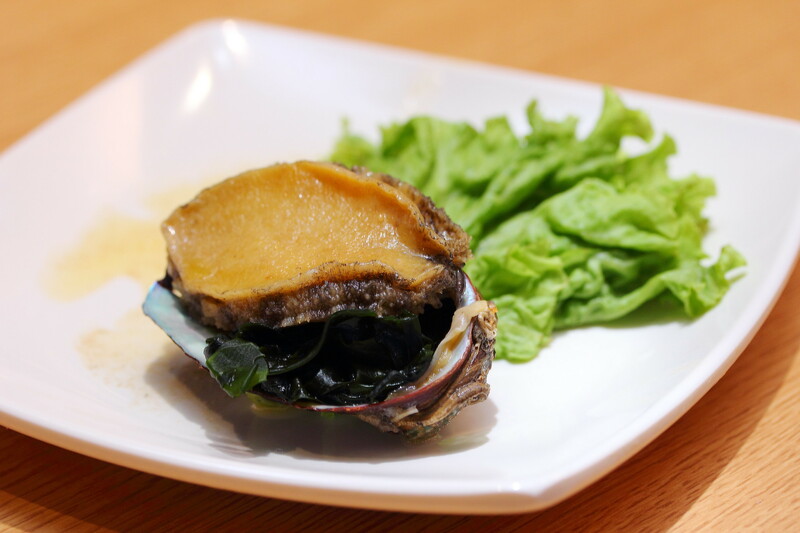 While many new restaurants have opened up in the new refurbished Suntec City Mall, Kuishin Bo is no new kid on the block. 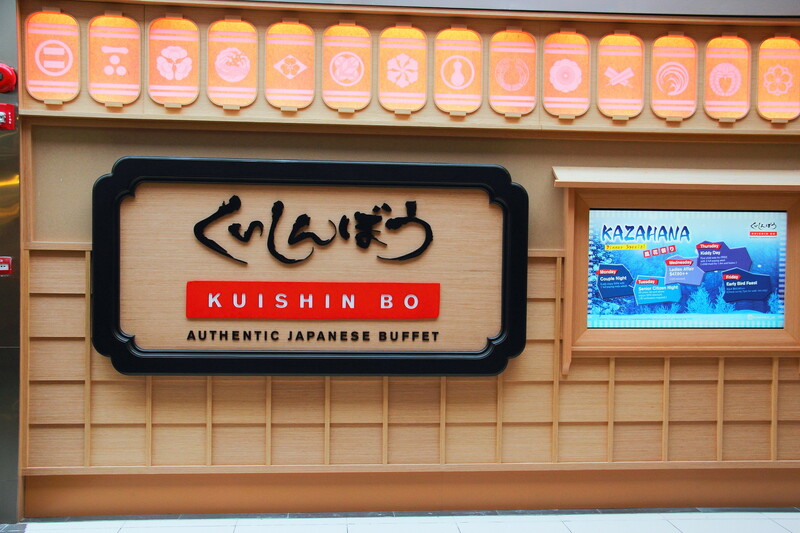 In fact, it is homecoming for Kuishin Bo which started back in 2001 when Suntec was first built. 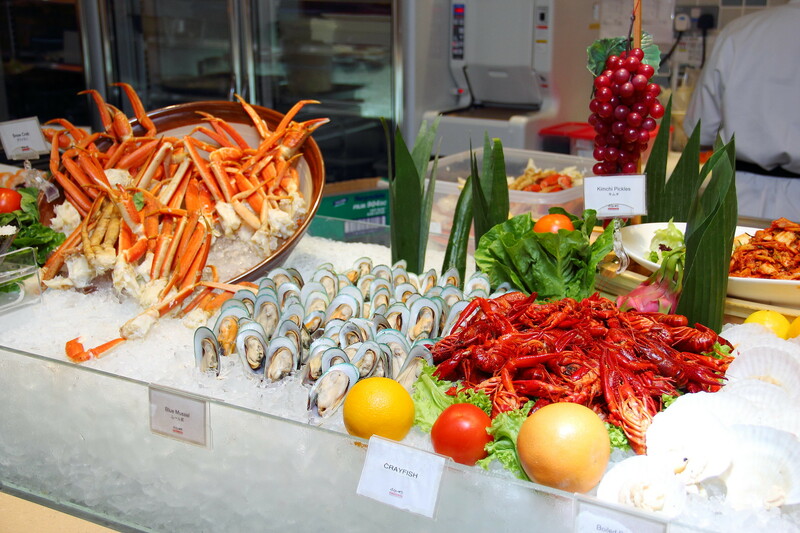 The buffet spread consists of seven different sections with staggering line up of seasonal highlights and quintessential Japanese favourites. 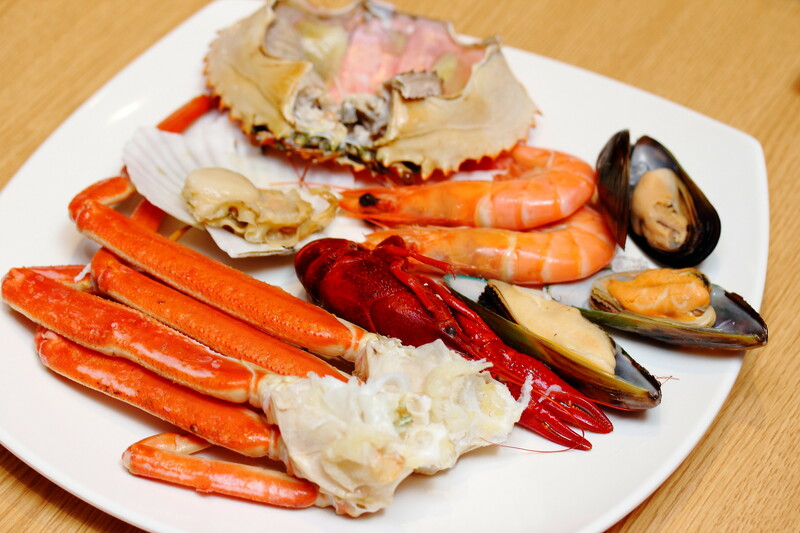 From the seafood section, diners can enjoy an array of freshly imported seafood such as the Snow Crab, Scampi, Scallop, Mussel, Prawn and Crab. Inevitable Japanese buffet has to have Sushi and Sashimi. I usually skip the sushi section as I do not want to get myself full before I can try the rest of the buffet spread. 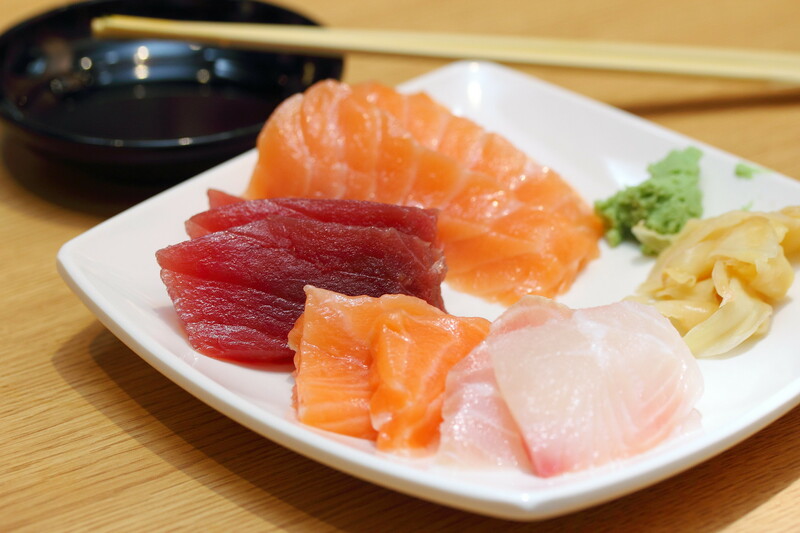 Standard sashimi selections are also available on the buffet spread which are regularly topped up. I was actually quite delighted to see that Kuishin Bo offers Paper Hot Pot in their array of selection. 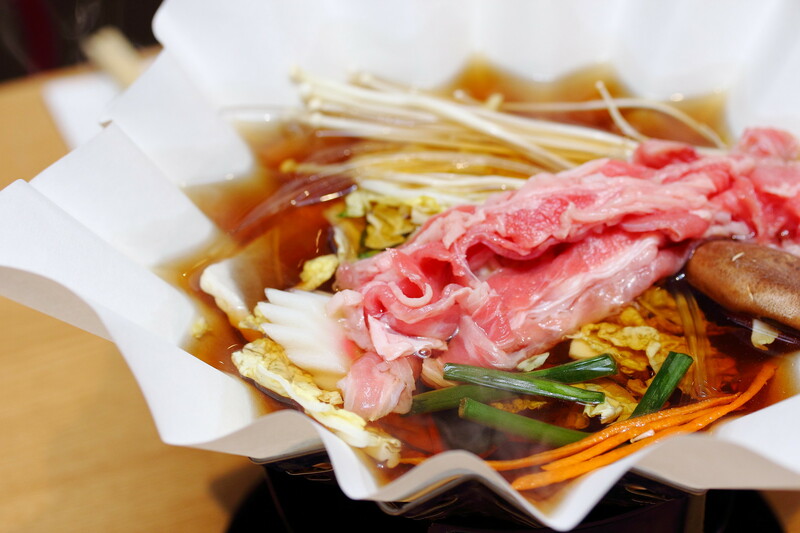 Diners get a choice of meat for their hot pot too. After you bring the hot pot to your dining table, the server will then light up the fire. This goes well with a bowl of rice. I usually avoid having rice in a buffet but the Ginseng Scallop Porridge is not to be missed. 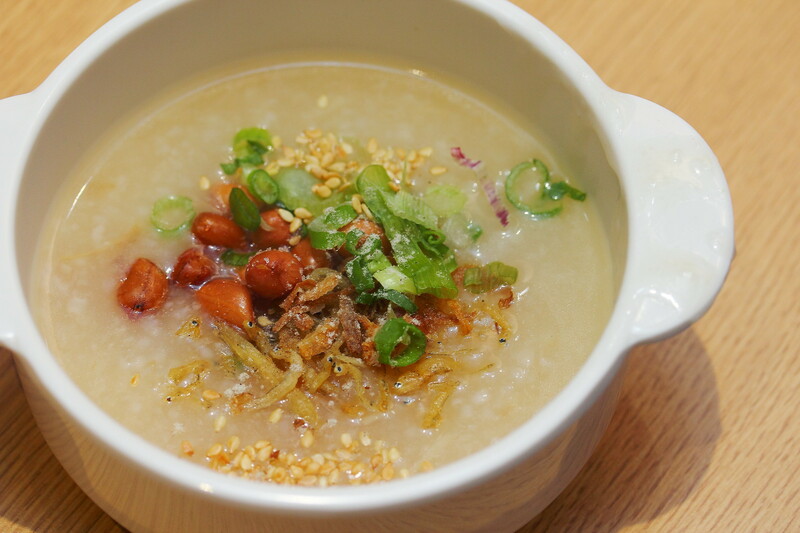 The nourishing porridge is cooked in Korean ginseng and dried scallops. Moving on to the fried food section, except for the fact that these are a bit cold which I can understand, they are quite a delightful selection. 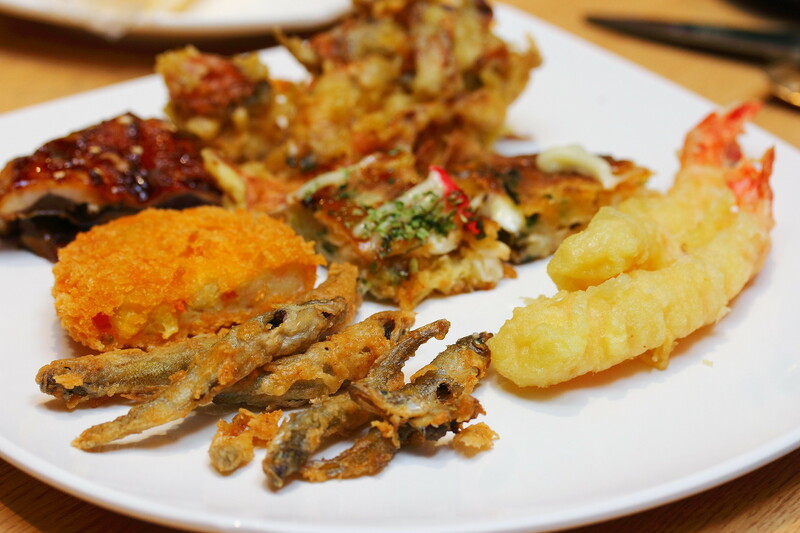 Some of the items I tried are Shishamo, Prawn Tempura, Seafood Pancake etc. 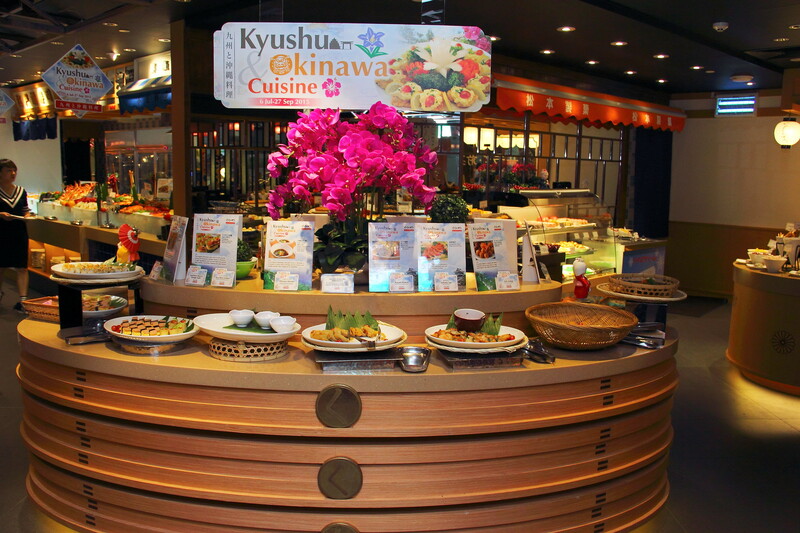 Another highlight at Kuishin Bo is the Teppanyaki section. 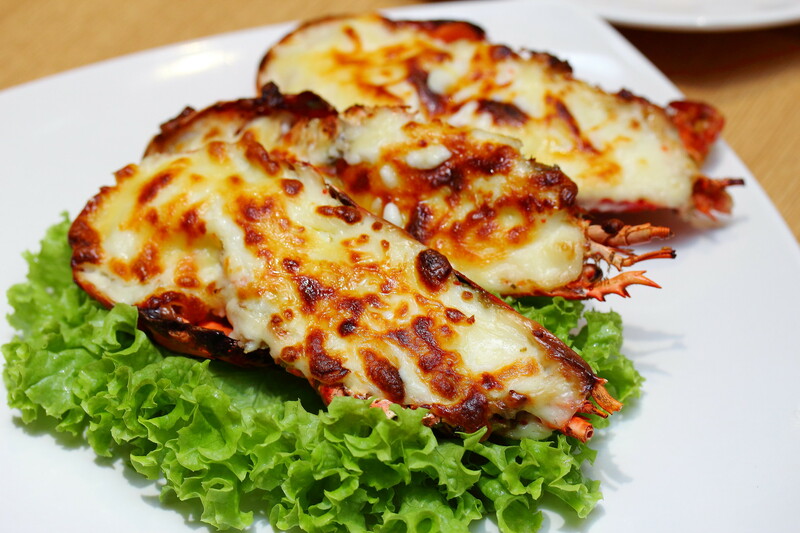 Among all the grilled items, the Grilled Lobster with Cheese will definitely made the visit worthwhile. A little excitement when dining at Kuishin Bo is to keep an ear out for the iconic 'dong dong dong' bell. 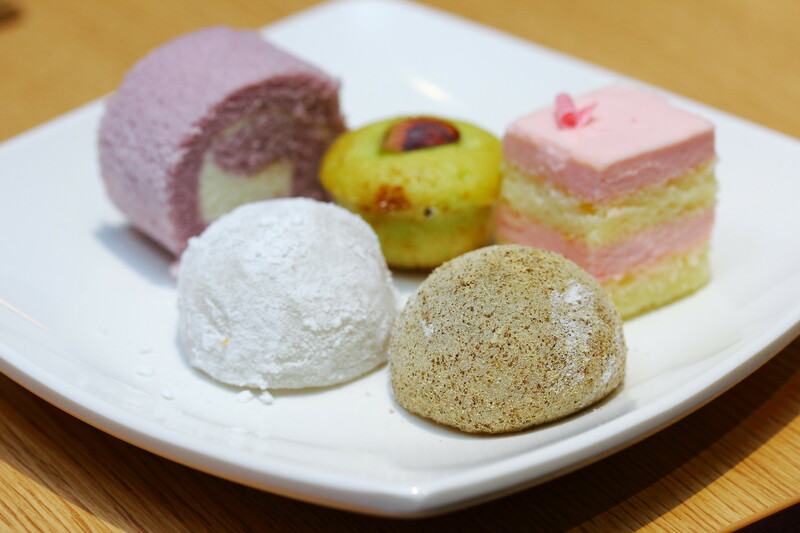 This alerts diners of the hourly specials such as Japanese desserts, abalone and more. Do note that this is of limited quantities. Hence I recommend sitting near the entrance as the queue starts somewhere around the area. 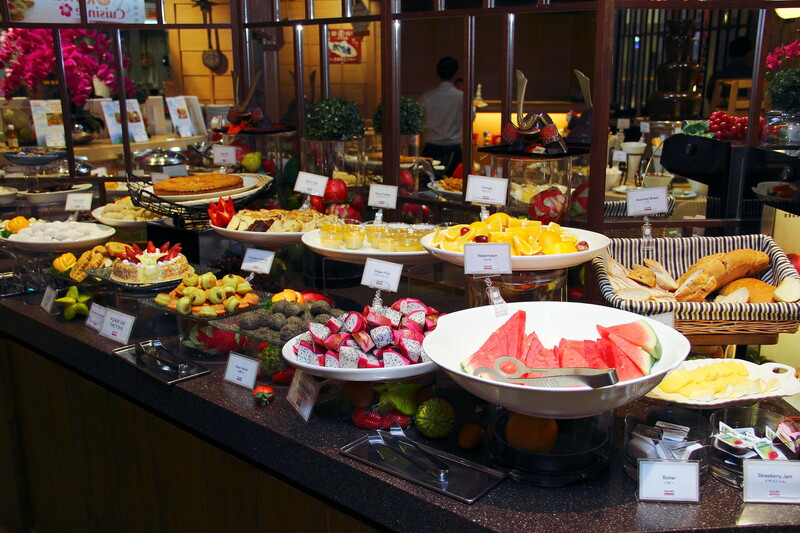 Completing the buffet spread at Kuishin Bo is the different Tropical Fruit, Mochi, Cakes and Pastries. 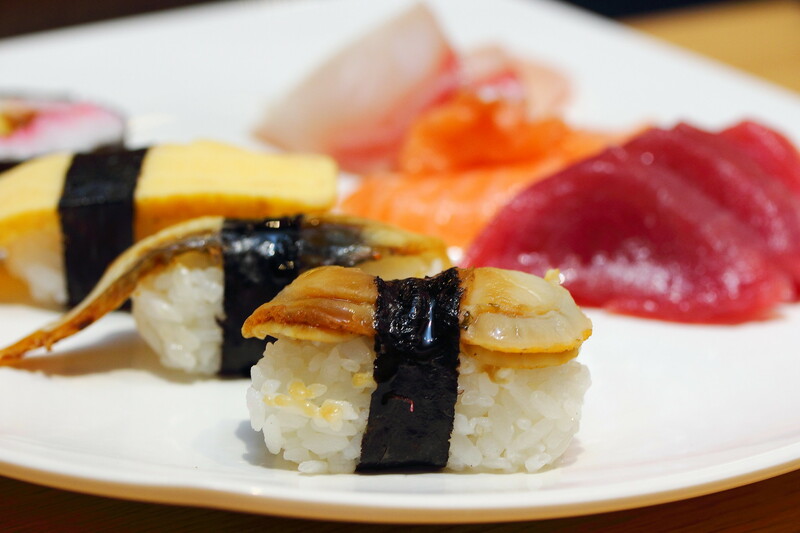 Besides the buffet spread, every quarterly Kuishin Bo will introduce cuisine from different regions of the Japan. Currently from 6 to 27 September 2015, it is showcasing around 20 seasonal items from Kyushu and Okinawa. Each item is also accompanied with an educational card elaborating on the history and inspiration behind it. Families with children can also dine in peace with the Kids Haven corner section. 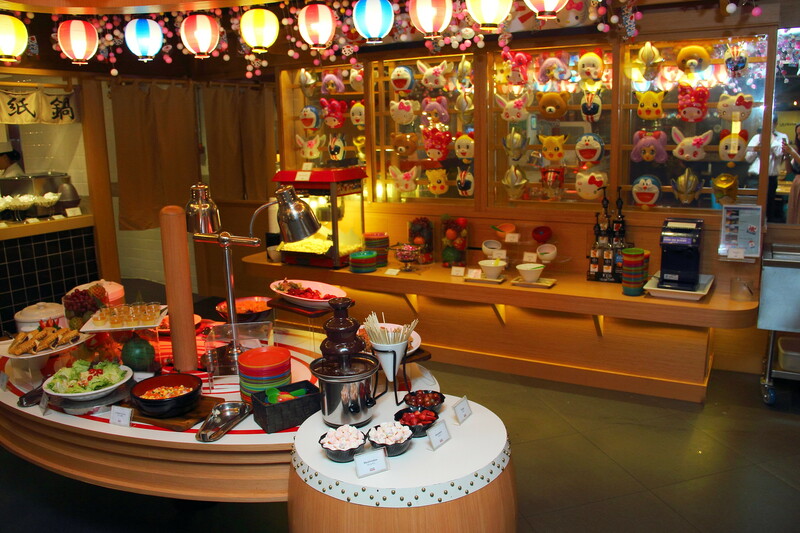 Rows of vivid-hued masks depicting well known Japanese cartoon characters like Doraemon and Pikachu line the featured wall with coloured lanterns and a sakura flowers ceiling dangle overhead. The counters are designed to be lower to be kid friendly and laden with more kids friendly dishes, which they can help themselves to them. oh great, its back at Suntec! !